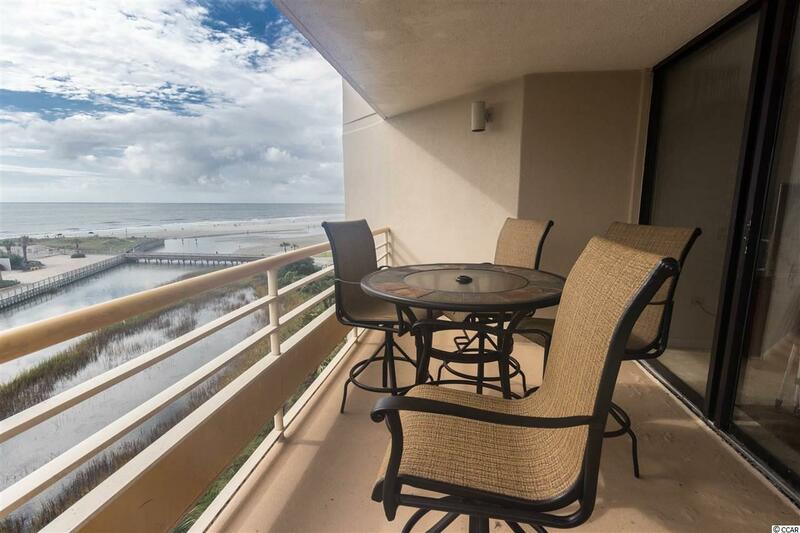 This gorgeous condo features an oceanfront view, wrap around balcony, private master, tile flooring throughout, newer stainless Maytag appliances, and beautiful furnishings. 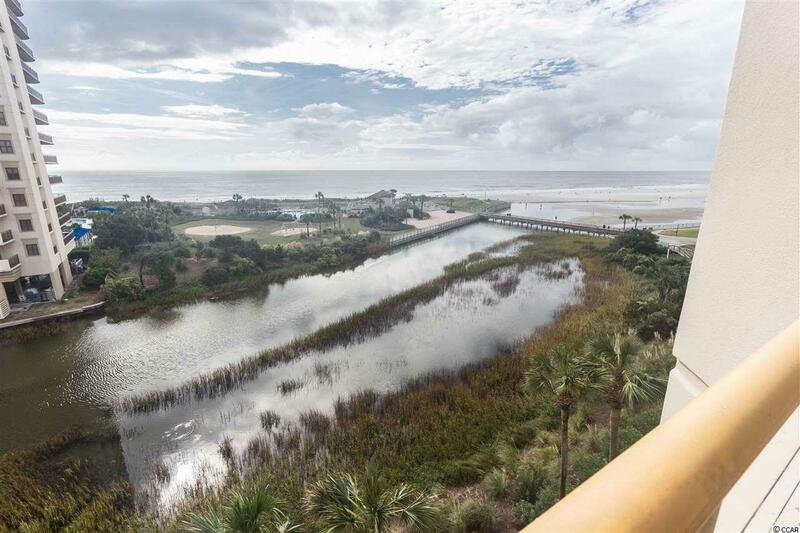 Ocean Creek is located on 57-acres of park-like grounds with stunning live oaks. 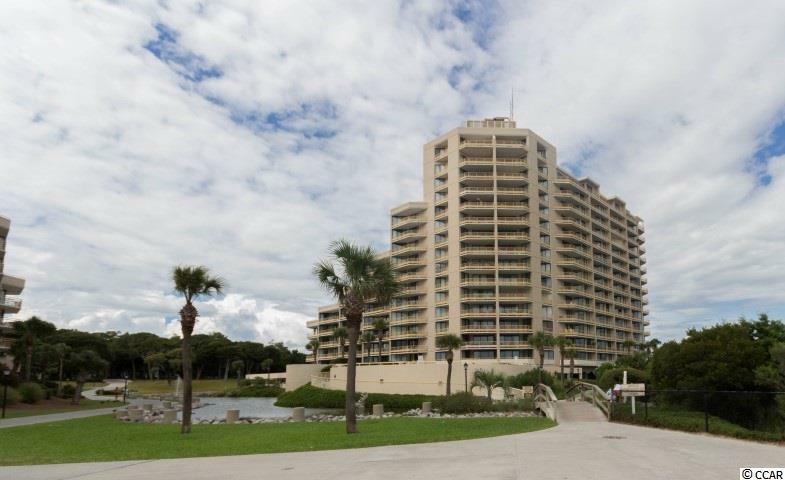 It features 24-hour gated security, elevator access in buildings, a tennis center, onsite restaurant, and multiple pools. 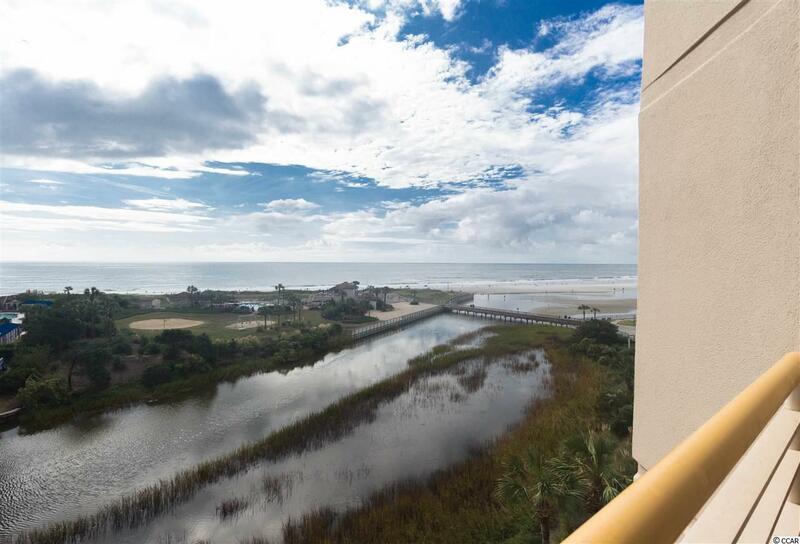 The resort boasts a fabulous oceanfront beach club with a playground, outdoor pool, sand volleyball court, snack bar, storage lockers and restrooms. All figs. & sq. ft. approximate. Kitchen Dishwasher Garbage Disposal Refrigerator Range Breakfast Bar Oven Freezer Microwave Stainless Steel Apps.